Archive from category "THE CLASSROOM"
Numbers are all around us, and from a very early age, children are exposed to them (absorbent mind). 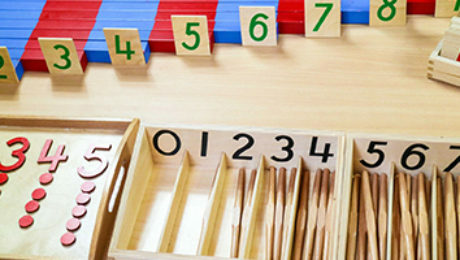 The Montessori philosophy is no different and has many activities that help children build a positive relationship with numbers. The activities start with fixed quantities and numerals, and then progress to unfixed quantities and numerals, this helps to build the child’s understanding and confidence. Just like every other Montessori activity, children will be shown how to do the activities, and will then be encouraged to move on when they feel competent. Children get concrete experiences with numbers, which helps them to understand the concepts faster as they are using their senses and actually touching the equipment. “Children are unique individuals, education should be individualised for each child.”- Maria Montessori. Rods, spindles, beads and cubes are all used to help children learn and visualise numbers and their quantities. Montessori Oamaru will have all this wonderful equipment in the classroom for the children to use and work with when they are ready to explore. This equipment is just another facet of the classroom and the Montessori philosophy, which helps create an environment so unique and exciting where children’s learning and development is at the cornerstone of everything. Maria Montessori believed we learn through our senses. Which is why sensorial is an important area of the Montessori classroom. The specialised equipment can be found in any Montessori throughout the world and is designed to help children learn about and refine their senses (Touch, Taste, Hearing, Sight and Smell). The sense of touch is the sense by which children learn most about their environment in the early years. Children learn the most by touching or doing rather than sitting and watching. Teachers will demonstrate how to use the equipment and will encourage the repetition and practice of the equipment. Each piece of material has been designed with a direct purpose in mind, again helping to build upon the foundations of prior learning. Each piece of equipment can also increase in its level of difficulty. This helps to build and develop children’s skills even further because every child is free to learn and develop at their own pace. We will continue to discover more about the Montessori Philosophy as we count down to the Opening of Montessori Oamaru. Our next blog we will take a brief look at Mathematics. Practical life in the Montessori Classroom. 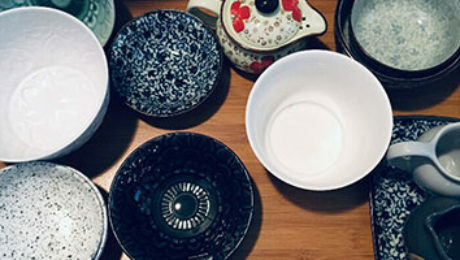 Spoons, Cups, Plates and Jugs are all things you will find in the practical life area of Montessori Oamaru. The Practical Life area is an essential part of any Montessori Centre, it helps to lay the foundation for all other activities within the Montessori classroom. Practical life can be described as those everyday activities that you do at home such as washing dishes, sweeping, preparing food and polishing. These activities help children to gain knowledge and life skills by participating in real experiences which are set up in purposeful ways. 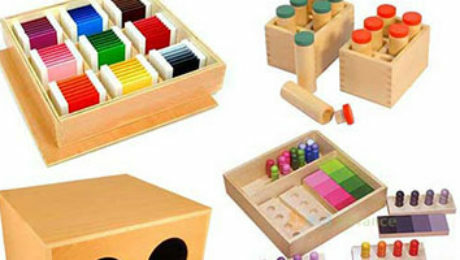 Each area is very beneficial in helping to build new skills that will lay the foundation for other Montessori tasks. Hand and eye coordination, sequencing, and completion of a work cycle are skills that are developed while participating in practical life. The next Blog will look at Sensorial and help to continue the journey to building a picture of Montessori Oamaru and why it’s so unique.